Baroness is a metal band that plays an eclectic brand of sludge, embracing the ferocity and sharp technique of new-millennium metal but with melodic accents and intelligent guitar work that suggests the influence of sludge and post-metal bands. Baroness formed in the Summer 2003 in Savannah, GA, United States with all members, past and present, hailing from Lexington, VA in the foothills of the mighty Blue Ridge Mountains. Baroness formed in the Summer 2003 in Savannah, GA, United States with all members, past and present, hailing from Lexington, VA in the foothills of the mighty Blue Ridge Mountains. Maybe that's where the band draws inspiration for their music, or maybe their style is inspired by their name, or maybe it's just when these four band-mates come together the end result is always bold and impressive? With a sound built upon a resolute sense of purpose and shaped by hundreds of explosive live shows, Baroness position themselves at the forefront of heavy music with their first full length and Relapse debut Red Album. Red Album is at once powerful, expressive, confident, and commanding. The record sees the band expand its sonic vision; colossal riffs and haunting vocals roll like thunder across epic songs spanning both the intense and the sublime. As with each Baroness recording, Red Album was recorded at the Jam Room Studio in Columbia, SC w/ producer Phillip Cope and engineers Jay Matheson and Steve Slavich. In 2009, the Blue Record was released by Relapse Records. With this release, they continued to push the envelope and development as their style progresses. This progression ultimately gave them the Album of the Year award from Decibel Magazine and gave them numerous Best of lists from Pitchfork, Village Voice, Popmatters, Revolver, Rock Sound, and Metal Hammer. Baroness hadn't toured for the entire year in 2011 to focus on creating a new, both in the sense of music and in the literal meaning, album. Yellow-Green was recorded with producer John Congleton in Hoboken, NJ and Dallas, TX. The new album will be released on July 17th, followed by extensive touring. BARONESS has forged forward with heavy independent touring -almost 250 shows a year - since the band's inception. They've criss-crossed the U.S. three times, Europe, and the UK twice, and have performed at international music festivals such as SXSW, MacRock, ZXZW in The Netherlands, Australia's Soundwave Festival and more. 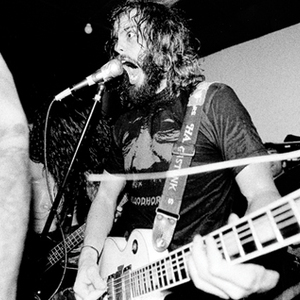 Baroness has toured with many friends and peers, including Mastodon, Municipal Waste, Torche, Kylesa, Alabama Thunderpussy, Cursed, The Holy Mountain, and many more. Sign up for the Relapse Records newsletter to stay up to date on all the latest Baroness news, tour dates and merch!